There’s something infuriating about an experience that has the bones of greatness but ultimately doesn’t build a successfully stable structure. You can see the pieces of intent that arch toward a brilliant idea but the final execution leans crookedly. At least these sort of experiences provide their own special kind of fun where I get to poke and prod at why they drive me so mad. It’s one thing to positively rave about a masterpiece or to rant in anger about a travesty, it’s quite another to try and look at a middling experience and pretend like you know enough to theoretically fix it. In gaming you don’t see a lot of maturation within a single product. The game is released and may have some bugs patched out later on, especially in this new standard of digital-only releases, but excepting major expansions or sequels, the features of a game will not wildly change thereafter. The exceptions to that declaration are fun to later rediscover. The kind of game that you’ve absentmindedly had in the background of your news feeds, with a formed opinion from your first round with it, and “suddenly” there’s all this new stuff in there. Pokémon Go is one of those games for me. I burned out hard, like many people did, in that particular 2016 summer season when it was all the rage. There just wasn’t enough in the game to keep me going and frustratingly, I could see how it could be made better. Impatiently I uninstalled the game deciding that no, I would not catch ‘em all. Even so, Pokémon Go never left the periphery of my social media feed for I follow too many people who compulsively collect things, who like to get out and explore, and whose attention spans need a little extra digital layer to keep them occupied as they wander. I’m not sure what exactly triggered my return to the game, but seemingly a bunch of new features had been added since I last played and my curiosity was piqued. Pokémon Go has indeed changed quite a bit since I last dove in. There’s some interesting—but still fairly shallow—stuff that’s been added, like you can now connect with friends, give gifts and trade creatures. Niantic has added a lot of quality of life interface updates that make navigating and understanding the game better. 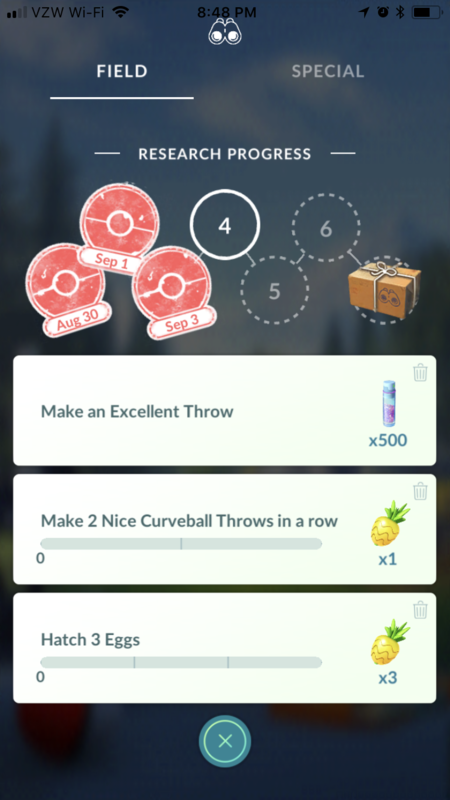 They’ve added “research tasks” that give you some small direction and variety if you play frequently. 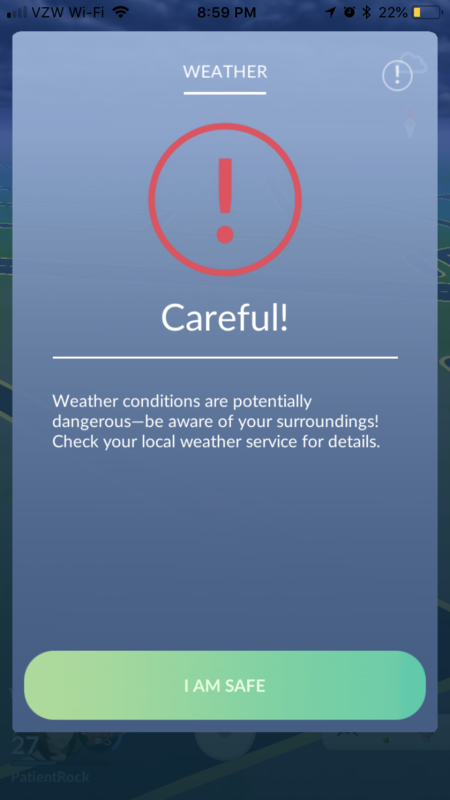 They’ve added dynamic weather that updates along with your real life weather conditions. One time, when it was raining in the game and not in real life, suddenly, real rain came from seemingly nowhere. I was playing with my son at the time and his wonder at Pokémon Go “knowing” gave me a good chuckle. The game gets *very* upset about weather. One of the biggest improvements for me was a better (or actual) system for tracking down Pokémon. Now, you have a good sense of what’s around you and where you need to go if there’s a creature of interest nearby. It’s not perfect as it only searches your immediate region and it, like the game as a whole, skews heavily toward cities and areas of privilege that have a lot of Pokéstops in the database. It’s significantly better from the last time I played when the way to hunting down a collection of the pocket monsters was poorly communicated. I’ve gone on record about my compulsion for collecting and completionism so the biggest shock for me about my return to Pokémon Go was that I actually don’t care very much about completing my Pokédex. 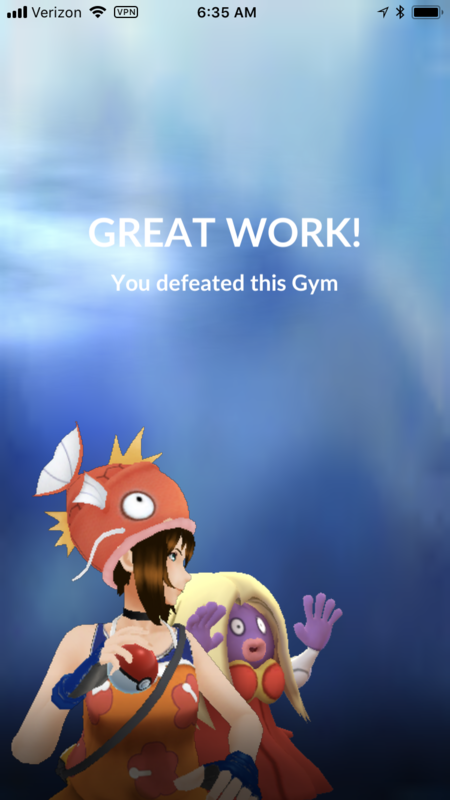 Gyms have been there since the beginning but now the combat system feels way more robust. To be clear, the actual mechanics of fighting are still incredibly dull with the experience amounting to just frenzied screen tapping. But with so many Pokémon available, the match-ups you must consider when taking on a gym full of rival monsters adds a layer of tactics I never thought I’d enjoy. 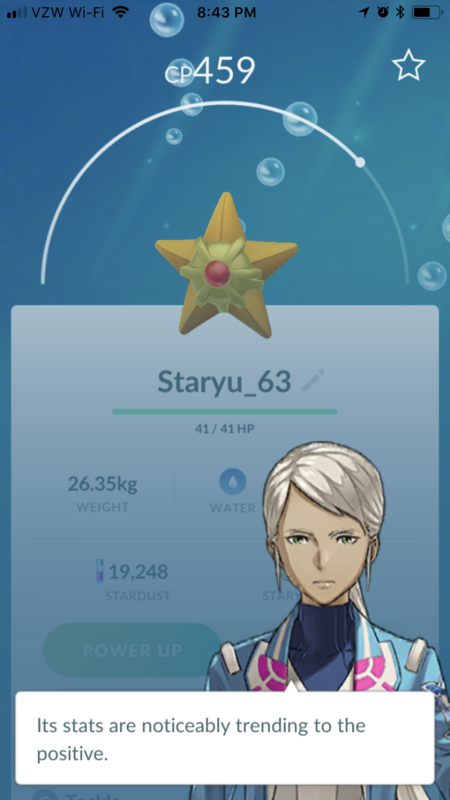 Now, I’m not just chasing after particular Pokémon out in the wild because I need to complete my Pokédex, but because I don’t have a strong “Water” type in my roster to counter opposing “Fire” types. I’m building up a squad that I can take into battle, and that part feels akin to the tactics video games I lose myself in. Granted, it’s still very much a big game of rock-paper-scissors, just with more objects in the mix. And due to the particulars in the Pokémon Go metagame, you see the same Pokémon in gyms over and over again. (Looking at you, Blissey and Snorlax.) With new generations of creatures released fairly regularly those imbalances will surely shift. One of multiple cheat sheets I keep on my phone. So why have I again stopped playing? A few reasons but the main culprit is one that is admittedly incredibly dorky, but unavoidable if you want to take the game seriously. Calculating “Individual Value” (IV) in the game burned me out. See, in Pokémon Go each creature has a “Combat Power” value that determines its effectiveness in, well, combat. Combat Power is a statistic openly given by the game. It turns out, however, that every Pokémon has a secret value that is the real measure of its fighting ability, its IV. The game hides your creatures’ IV’s within vague exclamations. Pokémon Go’s community, of course, has dug deeper and there are now third-party apps that will scrape that information for you, but doing so involves a dozen steps for each creature. 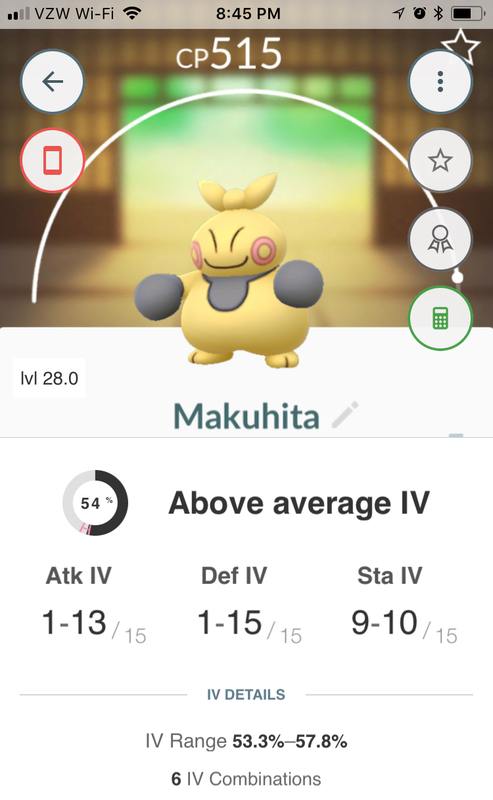 You have to screenshot the profile of each Pokémon and plug in various data points to get its final IV: three values, each between 1-15. 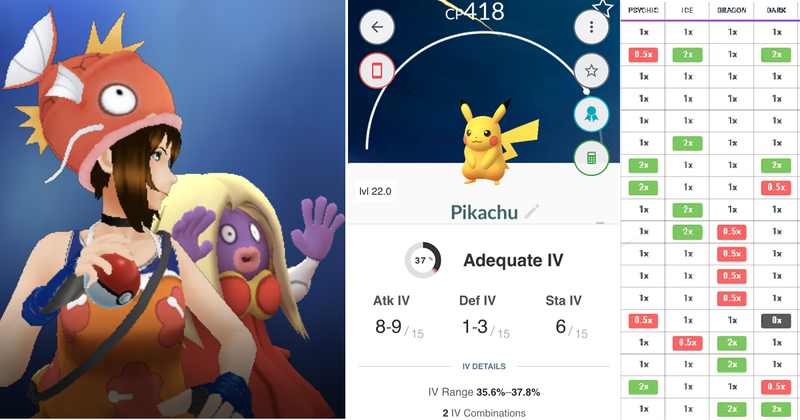 At the height of my re-addiction I didn’t mind calculating IV as it gave me a way to interact with Pokémon Go when I couldn’t be out playing— one of the game’s inherent values is that you have to physically travel to play. So late at night when I was sitting on the couch, I could still get my fix of the game by busily calculating the IV’s of the Pokémon I caught that day. Except, eventually, life became too busy and suddenly I had amassed dozens upon dozens of creatures who needed evaluation. I couldn’t just clear them out because WHAT IF one of them had a useful IV? I wouldn’t admit it but I was bored with the experience and hoping for a way out of the game. What actually sunk me, despite being underwater with Pokémon whose IV were still a mystery, was getting sick. I lay there on the couch miserable and worried that I was about to break my daily Pokémon Go streak and thereby lose the reward the game gives for that consistency. There’s a PokéStop a block away from our house I reasoned. I could trudge there despite the upper 90’s temperatures outside. I could make it. I began to rise from the couch and then collapsed again. Stupid. Risking my health for a stupid game. Nonetheless, it was freeing. I found the excuse that I had been quietly looking for to break away from the game. A few days later when I was better (it was a doozy of an illness) I no longer felt Pokémon Go‘s pull. Hiding IV’s is astoundingly poor game design. Pokémon Go is close to being a perfect slot machine. Why not seal the deal? Why hide a mechanic that only encourages dedicated players to play more? Sure, you’ve already found a Squirtle. But have you found a Squirtle with a HIGHER number? Games like Wallabee would murder for that level of addictiveness. My mind reels with ways IV could be brought forward into the main design of the game without scaring away casual players with all those numbers. It seems odd that Niantic is cool with third-party apps steering high level game play and being a significant point of engagement for the rabid fans who care (and are willing to pay) for such things. My 4-year-old absolutely loves taking Pokémon walks with me but regularly asks, “Dad, when do we win the game?” The cynical part of me wants to retort with the truth, but I always lie. It’s not that he wouldn’t understand, but I’m not ready to explain aloud the futility of playing a game like Pokémon Go that never actually ends. The game is so close to being fully realized. Maybe we’ll “win” in a year or so when I invariably check back in with the game to see what’s changed. It’s grown so much already.